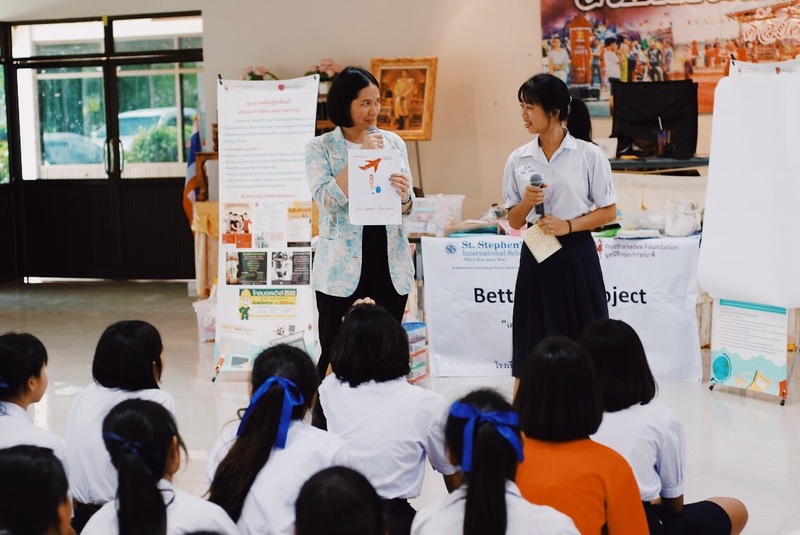 On May 25th 2018, our team at Pratthanadee Foundation, with generous support from St. Stephen’s International School, Khao Yai, was able to reach 42 high school girls Khemmaratpittayakom School. As part of the “Preparing for Success” training programme, we covered key aspects of the workshop “Building a Positive Attitude” with a different set of older high school girls! Pratthanadee Foundation found that a majority of students were concerned about whether they would be able to afford university. As many families are not in a adequate socio-economic position to support higher education, most students consider applying for student loans and scholarships. Parents often force their children to become teachers, nurses, and police officers because these occupations ensure that parents are supported by the government if they ever fall ill. Overall, we found that students had limited awareness on possible career and educational paths; only seeing themselves occupying these 2-3 professional fields prompted by their parents. Thus, the goal was to provide them with practical guidance on post-school careers, employment, and training opportunities. The first step of the workshop was a self-assessment drawing activity, while the second step focused on training and educating the girls on options after high school. Girls learnt to categorize and research different universities according to type, price, faculty, pre-requisite courses, and location. The third step involved investigating the advantages and disadvantages of certain careers; many girls were not aware of the importance of choosing a career path that suited their interests. This step in the programme entails a much more vigorous evaluation process compared to the one we hold for junior girls, as these 42 girls were closer to entering the university system. What struck our team was the lack of knowledge on the differences between “open” and “closed” universities in Thailand. “Open” universities are supported by the government, while “closed” universities are private. For instance, before training only 35% of girls held beliefs that Ubon Ratchathani University is an “open” university, while 29% reported not even knowing which category the university fell into. After training, 95% of students understood that “open” universities in Thailand are not only affordable, but allows students to work and study at the same time, as well as permits them to live at home if they wish. Overall, this workshop was successful enabling 42 female students to gain more knowledge about themselves, as well as the wide array of opportunities available to them at higher education and professionally. A student declared that she learnt “that there are so many more job opportunities, not just teachers and nurses.” Even if students do not remember every single thing they learnt in training, they have gained a new sense of awareness about further education, career paths, and sources of support. 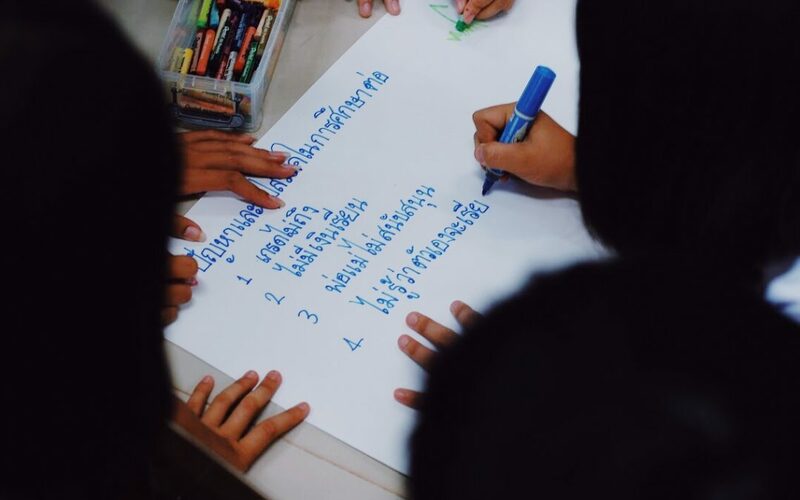 The team at Pratthanadee would like to express their sincere thanks to St. Stephen’s International School, Khao Yai, for generous support of this important workshop. This is a significant step forward for disadvantaged girls in the Northeast. 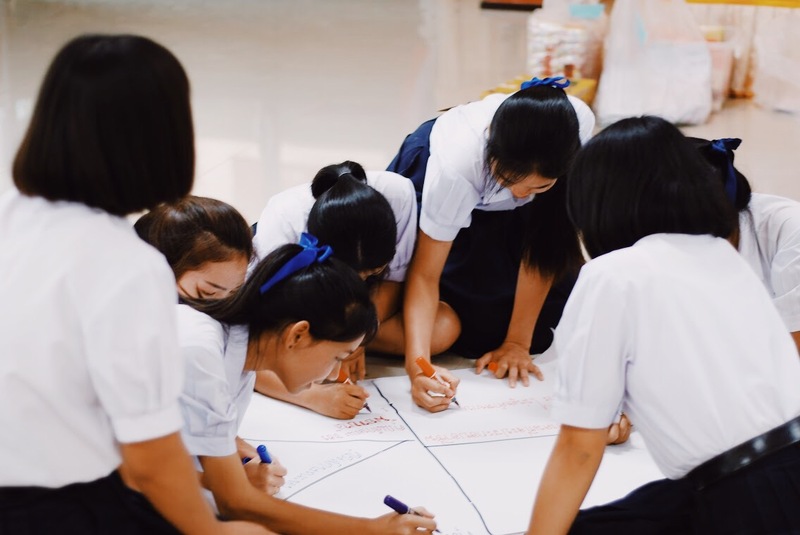 When asked, the girls reported they were keen to share the information with friends and family, which will hopefully create a snowball effect for other girls in Ubon Ratchathani. Pratthanadee Foundation is grateful to the St. Stephen’s for supporting our aim of reaching as many rural girls as possible in Thailand.